Saira was recently featured on ITV’s This Morning, along with the fantastic team of therapists at Middle Piccadilly Rural Retreat. 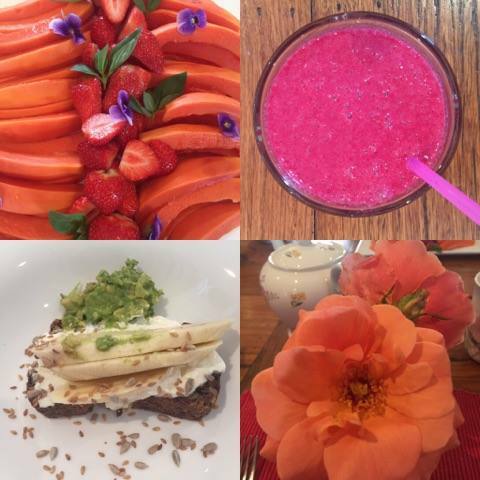 This Mornings Fertility Expert, Dr Larissa Corda brought three couples to Middle Piccadilly, where they enjoyed Fertility Yoga with Saira, ate delicious nutritious food and felt transformation through the retreat centres amazing array of Spiritual Therapies. 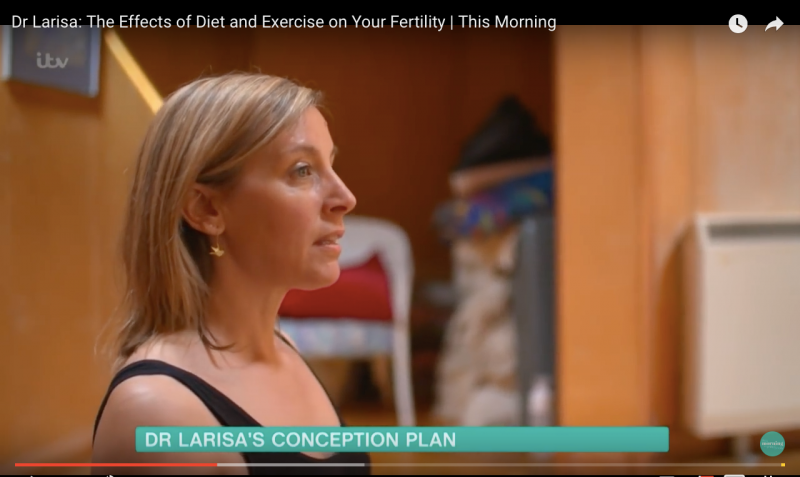 This was part of a four part series that Dr Larissa has made for This Morning, trying to help these three young couples who are struggling to conceive and sharing her unique wisdom on how looking to alternative therapies, yoga and lifestyle changes can really help them to have a baby. Watch the video clips from ITV here…. 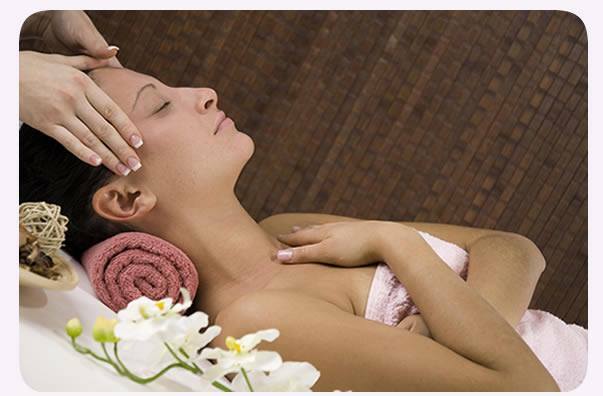 SPECIAL MOTHERS DAY OFFER!Give the Gift of Blissful Relaxation and Indulgence. 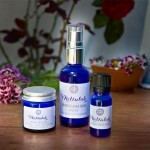 Give a gift voucherfor this treatment plus a free gift of a Geranium Face Cream made by Mellulah for just £49! Usual Price £75! You deserve to treat yourself too, so feel free to book this offer if you’re a mother, sister, wife, partner, friend, colleague, superwoman, cat woman, any woman!! You can buy as many vouchers as you like before 1st April, there is no limit on how many you purchase as long as you use them before the end of 2019. 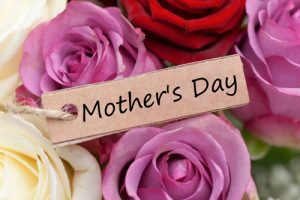 This indulgent Mothers Day Special Treatment will take you from an invigorating and uplifting Indian Head Massage, to a therapeutic full body Aromatherapy Massage, beyond this Saira’s healing touch with hands on Reiki Healing, ending with Reflexology at the feet. 30ml Geranium Face Cream made with essential oils & a cream base that contains no nasties worth £10. Gift Voucherscan be purchased via BACS Mellulah 82611963 51-81-01 or Paypal below. We will email you your voucher within 24 hours (more urgently if needed) for you to print off and give or keep for yourself if you prefer!! If you are booking a treatment for someone who has never seen Saira before you will need to book an Initial Consultation and First Appointment £54, otherwise its a Follow up £49. Offer runs until 1st April 2019, vouchers can be used anytime before the end of 2019. Mellulah won Gold again for Spa and Wellbeing in Dorset. 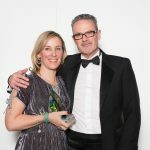 It was a wonderful night at the Dorset Tourism Awards last week. Held at the Lighthouse in Poole, over 200 guests enjoyed a delicious 3 course meal, entertainment and then lots of cheers as awards were presented and businesses were recognised for their contribution to tourism in the county. It was great to see so many really small business being awarded for their achievements, lots of one man bands and family run organisations. The awards are all about recognising the little guys, not one big corporation or large chain to be seen! This was the second year that Mellulah made it to the final and Saira went along with her husband Stoo for a night of serious nerves and extreme delight! Mellulah won Gold for the second year running in the Spa and Wellbeing Experience category. We also won Silver at the regional South West awards in February 2018 so we are on a roll it seems. Judges for the Dorset Tourism Awards said their day with Mellulah was ‘an inspirational visit, we can not wait to go back’. As an entrant of the tourism awards, candidates go through a rigorous process. Last year Mellulah was invited to enter and we decided to go for it again this year. Firstly a lengthy entry form is filled out. Saira spent a few long days during the June heatwave, sat in the garden under a tree writing, deeply from the heart about the ethos of Mellulah and what it is all about. Saira shared her own story within the entry form, how she went from a young drug addict falling into abusive relationships to an older, happy, fulfilled yogi, it seems she won the hearts of the judges as well as those of many of her loyal retreat guests and therapy clients. After the entry form has been read by judges, a short list is made and ‘mystery shoppers’ are sent out to check businesses in secret. Ours was sent during our August retreat at Middle Piccadilly near Sherborne. We found out at the end of a fabulous weekend that we had been shopped! Judges also go through all social media presence, read every review and all press attention. Then a long wait until October to find out if we made the finals and a heart pumping end to the process at awards night. Saira was over the moon to win Gold again for herself and the wonderful spa and wellbeing team in Dorset who work so hard to support her on retreats. Its also great news for all the guests who will hopefully feel even more confident about joining a retreat, a yoga class or coming for a therapy appointment with Saira. The best way to find out why Saira keeps winning is to come along and find out for yourself! The Winter months can take their toll on many of us, the dark, cold days offer little opportunity to de-stress out in nature, bathing in the sunlight and warmth that can be such a tonic during Spring and Summer. 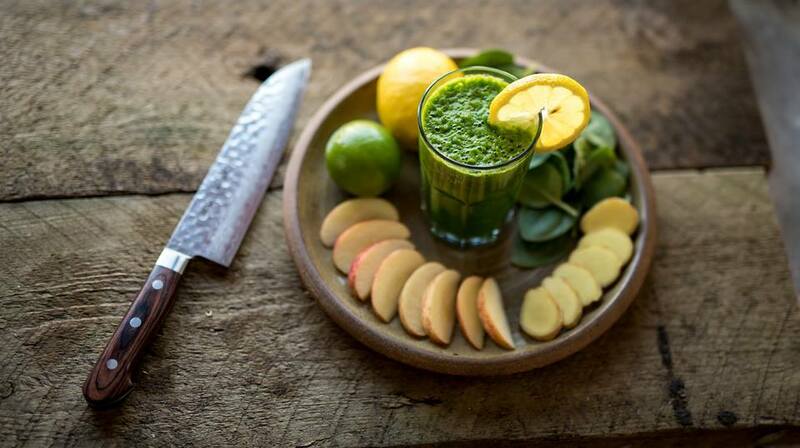 Now could be the time to think about a Wellness Retreat to de-stress and have the kind of break that leaves you feeling refreshed and full of energy. A yoga and wellness retreat is a chance to switch off from life for a day, weekend or longer if you are able. We live in a society that can feel stressful and often overwhelming. We have responsibilities at work and to our families. Finances and health issues can be a constant concern and then to add to that we are bombarded daily with negativity from newspapers, radio and television, often making us feel fearful and anxious. A retreat can be described as a place of refuge, offering seclusion or privacy. 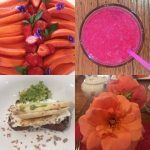 Time spent on retreat is an opportunity to switch off, no wifi, no news, no responsibility, focussing on ourselves and enjoying anything from yoga, meditation, sound healing and mindfulness to hiking and paddle boarding. Stress is a major cause of illness and disease in the West, causing serious health conditions like high blood pressure, heart disease, as well as sleep disorders, anxiety and depression. A retreat can give us a nurturing environment to change the perception that life has to be busy and stressful. On a retreat we can learn new skills that will help us cope better with day to day life. Yoga is a great way to stretch out the tension in the body, meditation helps to empty the mind of worry and mindfulness is a spiritual practice that assists us to become aware of our thoughts and how they affect us. We may learn about nutrition, juicing, also having fun getting out into nature to enjoy the surroundings of the retreat venue. There are an abundance of yoga and wellness retreats to choose from around the globe, you can book a retreat here in the UK, in Europe or further afield for a real adventure and one that is perfect if you are single and unsure about travelling alone. Retreats offer an opportunity to meet like minded people, some of whom may stay friends for life, all in a safe, supportive environment where you can feel cared for and nurtured. Take your time to choose, read through the website of a retreat organiser you are drawn to, check their reviews and perhaps give them a call to speak to someone directly and get a feel for whether you connect with them. 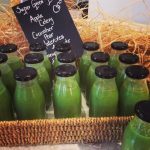 A yoga and wellness retreat could be just what you need to start the new year with an intention to look after yourself and create time for your health and wellbeing. Life doesn’t have to be stressful, we just need to find new ways to deal with all that gets thrown our way. 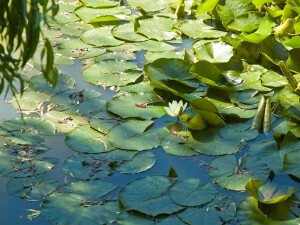 See our Yoga Retreat Dates in Dorset and abroad. all know how good it feels to see the eyes of a child, lover or friend light up when we give them a special, thoughtful gift or make an effort to do something to help them, we also know how good it feels in our own hearts to know we showed love and kindness to someone we care about. It works on strangers too, it feels good to buy from a Big Issue seller in town or help an overloaded mother with her pram, an elderly person cross the road. The more we practice kindness the better we feel and we are doing a service too, helping bring a little light and love into the world everywhere we go. We can take this simple act a step further and look at the Buddhist practice of Loving Kindness to help us deeply heal and release suffering from our present and our past. This spiritual practice isn’t just about material giving and receiving, it is about feeling loving kindness to all living beings no matter what. This isn’t always easy and in our society we are conditioned to feel that we should hold on to grudges, to be unforgiving to those who have hurt us and to build a wall around our hearts to prevent future hurt or suffering. Deep inside us there is a wisdom that is calling us to let go and find love, forgiveness, compassion and kindness and that by doing so we will be released from our pain. Find a quiet place to sit, make sure you won’t be disturbed for at least 10-15 minutes. Repeat each line of the meditation out loud or mentally to yourself, the first time say the words using ‘I’ directed towards yourself and each subsequent time use ‘you’. Second time think of someone you like and respect a great deal. Third time think of someone you feel fairly neutral about. Forth time think of someone who really irritates you. Fifth time someone who has really hurt you either recently or in the past. Finally think of your village, your country and then the whole world and all who live in it, particularly those in cultures that we do not know or understand. If you find it difficult to say these words whilst thinking of someone who has deeply hurt you, just make a resolve to try again another time in the future and leave it there. Enjoy this meditation and bringing the practice of Loving Kindness into your life. 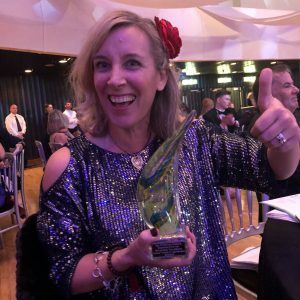 Dorset based Yoga teacher and Holistic Therapist Saira Francis had reason to celebrate on Thursday night (1 February) when her business Mellulah Therapy & Yogascooped the South West Tourism Silver Award in the Spa & Wellbeing Experience of the Year at the Riviera International Conference Centre, Torquay. 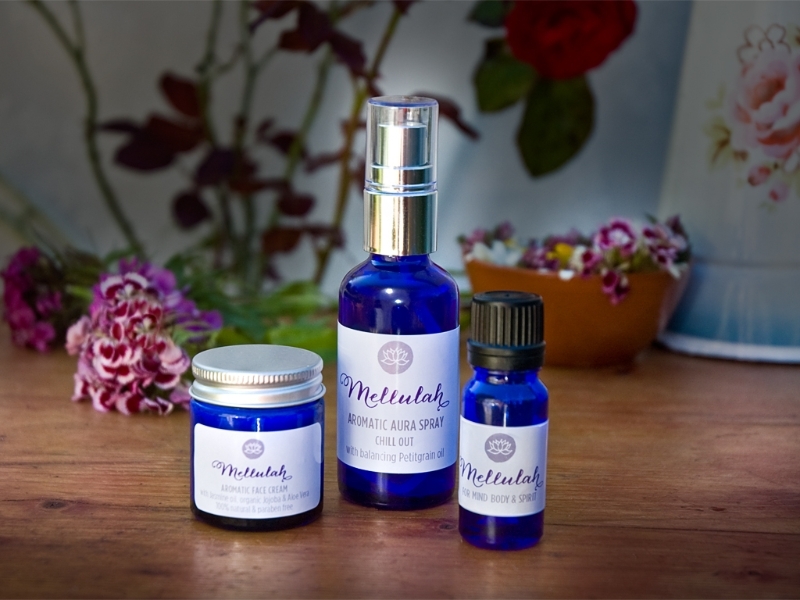 Mellulah, which offers retreats across Rural Dorset, was the only Dorset business in this category to have reached the South West final and was up against some very well-known names in the Spa and Wellbeing sector. Running since 2011, this approachable business won Gold in the 2017/18 Dorset Tourism Awards, a particularly impressive feat as it was the first time Mellulah had ever entered the Awards. The judges made a special mention of Saira’s ability to create a warm and inviting environment for retreaters to relax and let go of daily stresses. 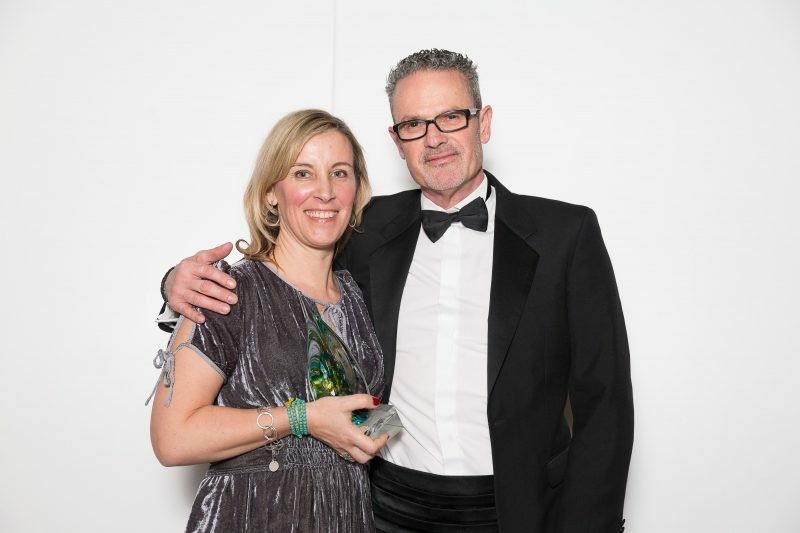 With five businesses vying for Gold, Silver and Bronze in this popular sector, including Peter de Savary’s Cary Arms in Devon and last year’s Silver winners Lucknam Park Hotel & Spa in Wiltshire, Saira said she was honoured to be among such well-known names. The judges will have examined all aspects of what’s on offer, and with glowing testimonials from clients like Catty Lowsley-Williams from Blandford who commented, “Mellulah yoga is some of the best yoga I have found anywhere. I have been lucky enough to practice yoga all over the world with some wonderful yogis. Saira is unquestionably one of the best teachers I’ve encountered. She has huge integrity and humility. How lucky I am to have found her,” there is no doubting that Mellulah provides a fantastic customer experience.